Launched in April 2016, Swachhata Pakhwada is inspired by the Hon’ble Prime Minister’s vision to engage all Union Ministries and Departments in Swachhata-related activities. The respective fortnight splace intense focus on the issues and practices of Swachhata. An annual calendar is pre-circulated among the Ministries to help them plan for the Pakhwada activities. Swachhata Pakhwadayearbooks for the years 2016 and 2017 have been released by MDWS in 2018. 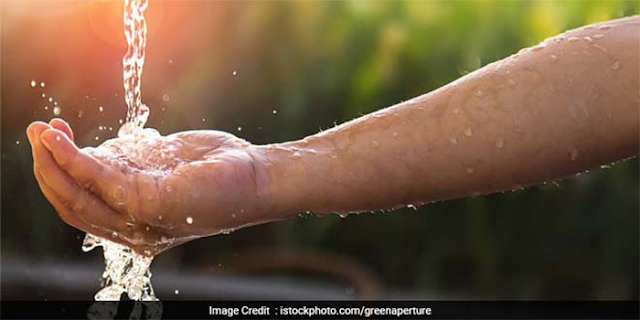 All 4470 villages located across 52 districts of Uttarakhand, Uttar Pradesh, Bihar, Jharkhand and West Bengal have been declared ODF with active help of state governments. Now the Ministry has taken up 25 villages on the bank of River Ganga to transform them as Ganga Grams in coordination with NMCG. MDWS has sanctioned Rs. 67 Crore to five Ganga States to take up tree plantation and related preparatory activities on the revenue land in Ganga Bank villages. In 2018, 5 Ganga Gram Swachhata Sammelans were organized by MDWS in four Ganga States to generate awareness about the Ganga Gram Swachhata concept. The goal of the initiative is to improve the cleanliness conditions at these locations to a distinctly higher level. This initiative is in partnership with Ministries of Housing and Urban Affairs, Tourism and Culture with MDWS as the nodal ministry. So far, in the first three phases, 30 iconic places have been identified. Most of these SIPs have also received financial and technical support from PSUs and corporates. The Ministry of Drinking Water & Sanitation, in coordination with the Government of Bihar, organized a week long campaign “Satyagraha Se Swachhagraha” from 3rd to 10th April, 2018, in Bihar, culminating in East Champaran on 10thApril, 2018, where over 20,000 Swachhagra his came together and to “trigger” Bihar. The culminating event was addressed by the Hon’ble Prime Minister, Shri Narendra Modi. The Hon’ble Chief Minister of Bihar, Nitish Kumar, Hon’ble Minister of Drinking Water and Sanitation,Sushri Uma Bharti, and otherUnion and State Ministers, MPs and MLAs attended the event. The Prime Minister have also felicitated the 10 best performing Swachhagrahis in an award giving ceremony. MDWS launched the Galvanising Organic Bio-Agro Resource dhan or “GOBAR dhan” scheme on 30th April 2018, at Karnal, Haryana. The scheme is aimed at keeping villages clean while increasing the income of farmers and cattle owners by promoting local entrepreneurs to convert cattle dung, and other organic resources, to biogas and organic manure. The Hon’ble Prime Minister launched the second edition of the Swachhata Hi Seva campaign on 15th September 2018 through a video conference interaction with 17 locations, in order to re-intensify the people’s movement in the run up to 2ndOctober 2018. Post the launch, shramdaan activities were undertaken by dignitaries like Shri Amitabh Bachchan, Shri Ratan Tata, Sadguru, Sri Sri Ravi Shankar, Mata Amritanandmayi, and others. The campaign mobilised people between 15th September and 2nd October 2018 reigniting the “jan-andolan” for sanitation. Union Ministers, MLAs, MPs, iconic celebrities of India, sports stars, inter-faith leaders, corporates, etc., participated and appealed to others to join in this campaign towards swachhata. The Mahatma Gandhi International Sanitation Convention (MGISC) brought together Ministers of sanitation and sector specialists from around the world. Approximately 200 delegates from 67 countries attended the Convention, which was inaugurated by Hon’ble President of India on 29th September 2018 at Kendra, New Delhi. The participating countries shared sanitation success stories and best practices, along with learning from the experience of the Swachh Bharat Mission. The 4-day Convention included a field visit, Plenary sessions, Parallel Technical sessions and Ministerial Dialogues. A parallel exhibition of sanitation innovations was also organized. The MGISC culminated on October 2nd, 2018, with the launch of Mahatma Gandhi’s 150th birth year celebrations, as SBM entered its fifth and final year of implementation. The Hon’ble Prime Minister of India addressed the nation on 2nd October 2018 from the platform of the convention. In order build the capacity of district level officials who are at the cutting edge level of implementation, Training of Trainers (ToTs) programmes were organized by MDWS. During the period of three months from September to November, Top programmes were completed at five locations in Bhopal, Pune, Ranchi, Raipur and Guwahati, respectively.